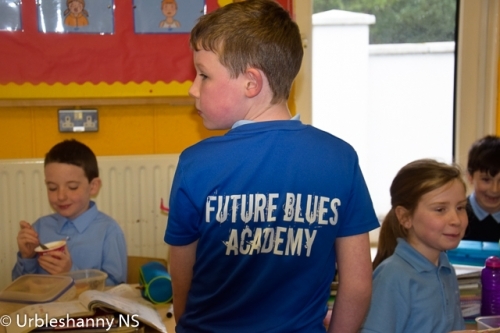 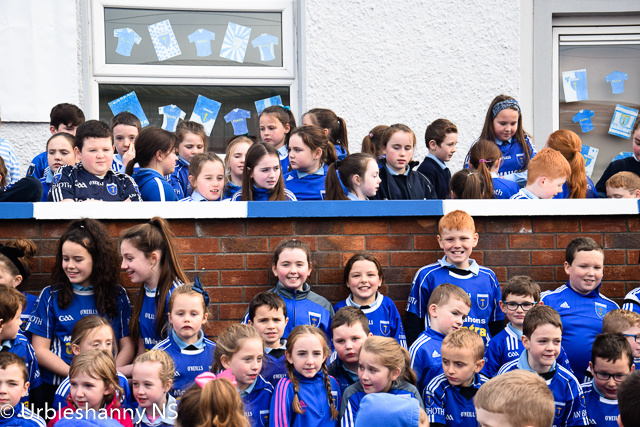 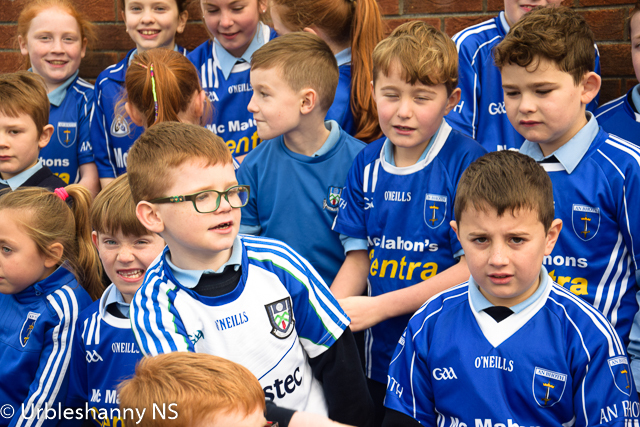 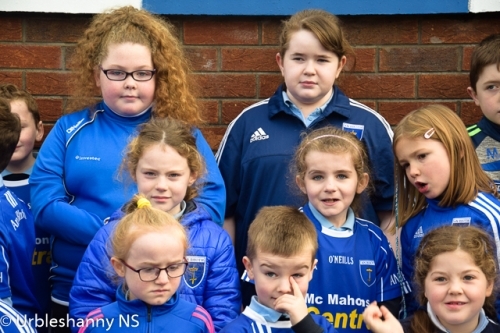 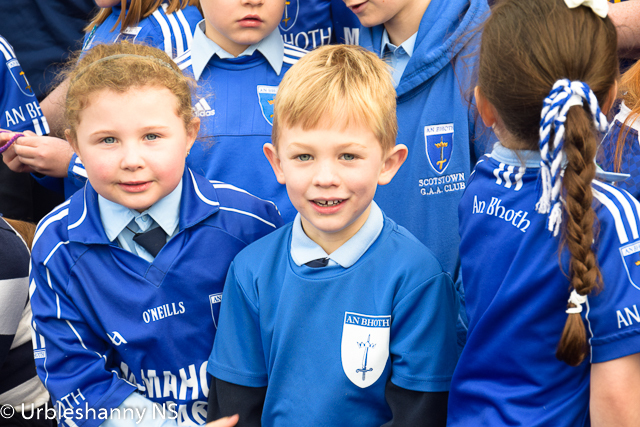 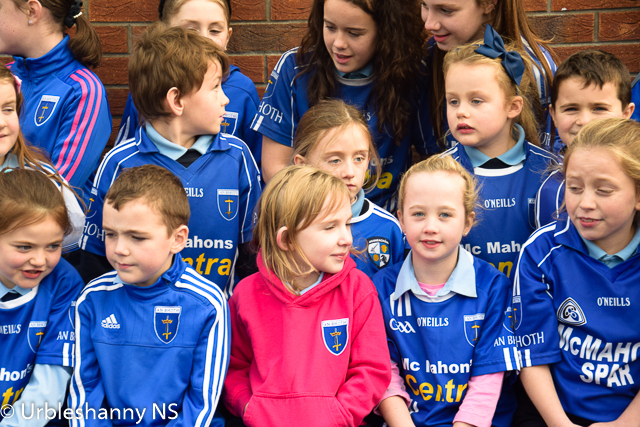 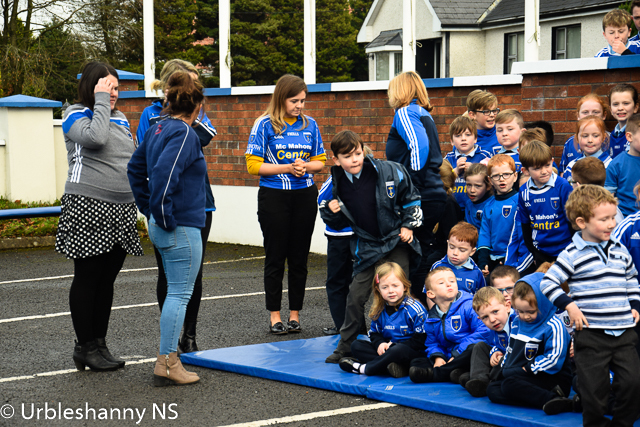 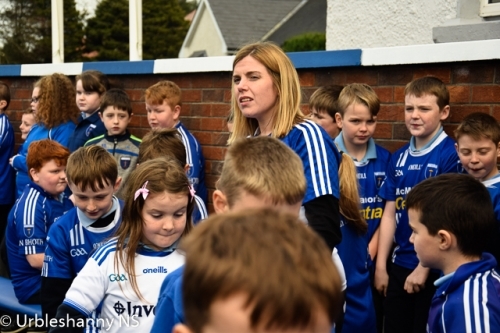 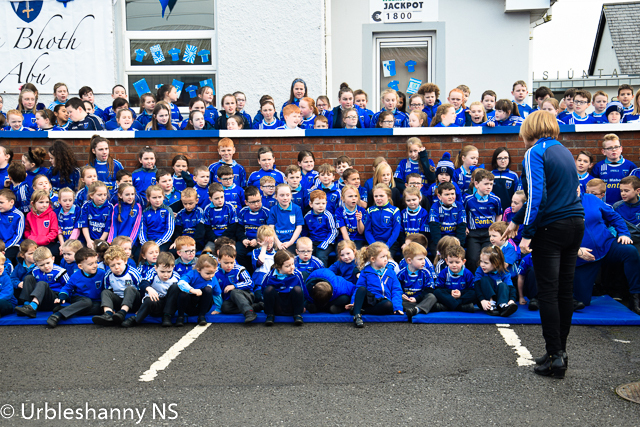 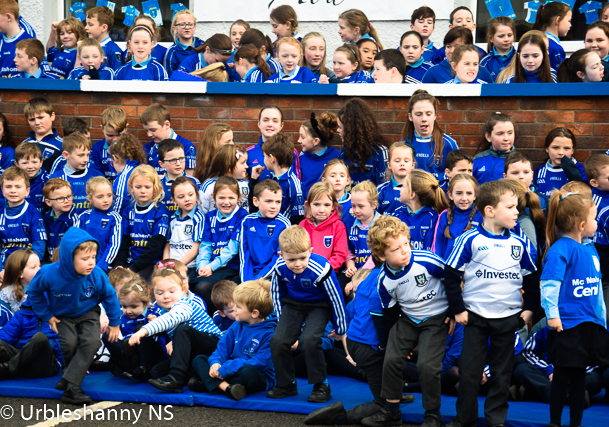 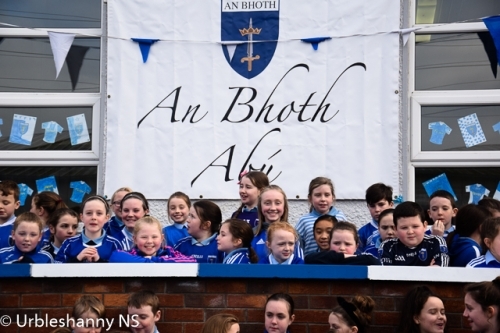 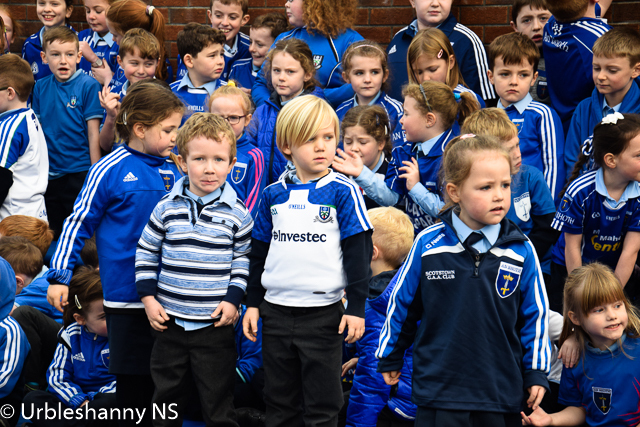 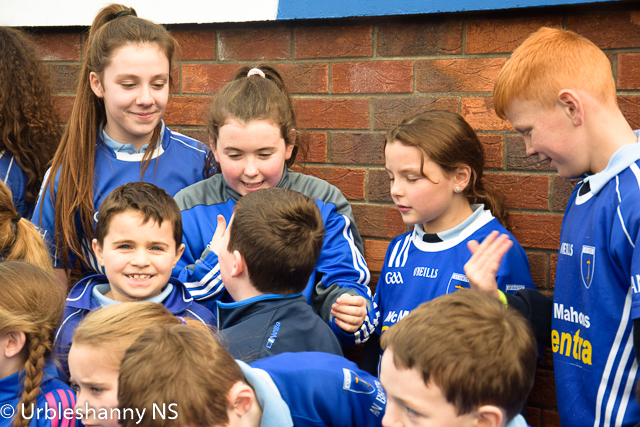 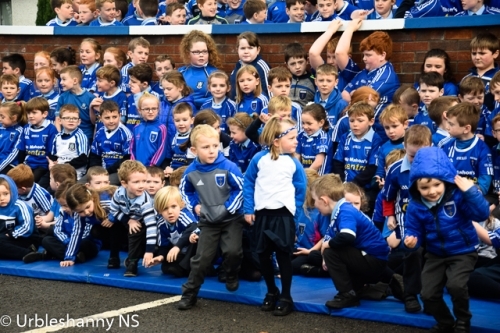 As Scotstown GAA face Donegal team, Gaoth Dobhair, in the AIB Ulster Club Senior Football Championship Final on the 2nd December at 2pm in Healy Park, Omagh, the pupils and staff of SN Iorball Sionnaigh were decked in blue and white this morning to show support for the team. 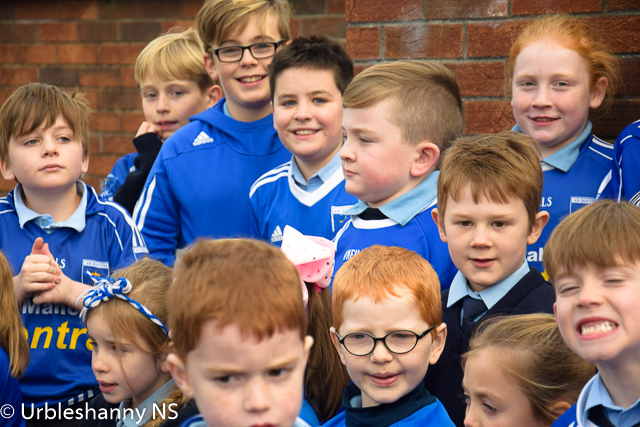 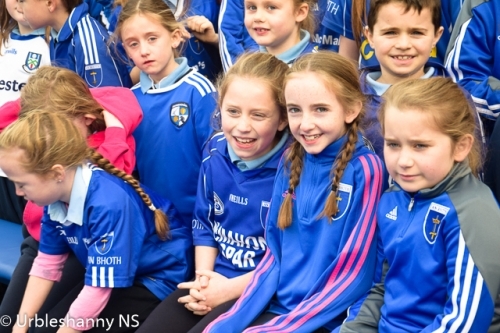 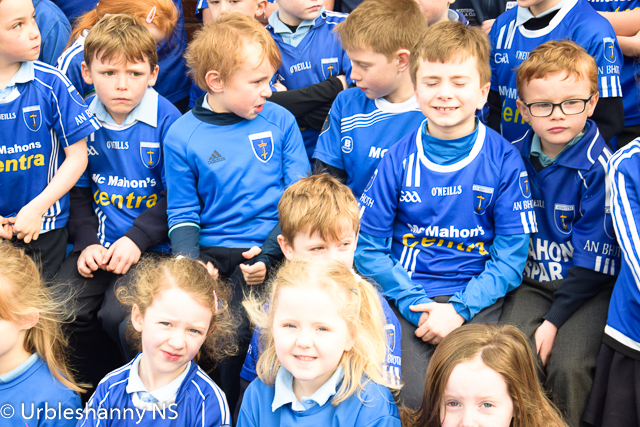 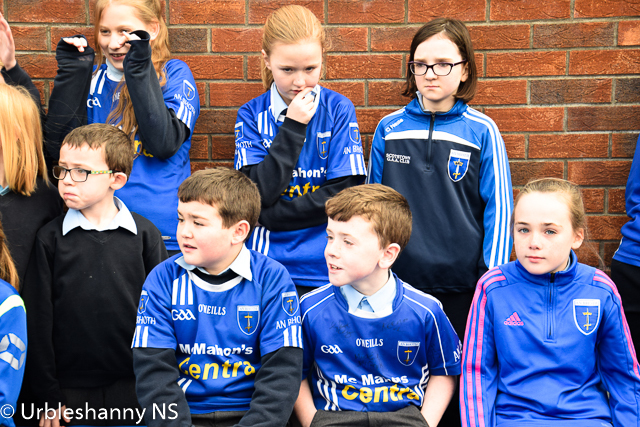 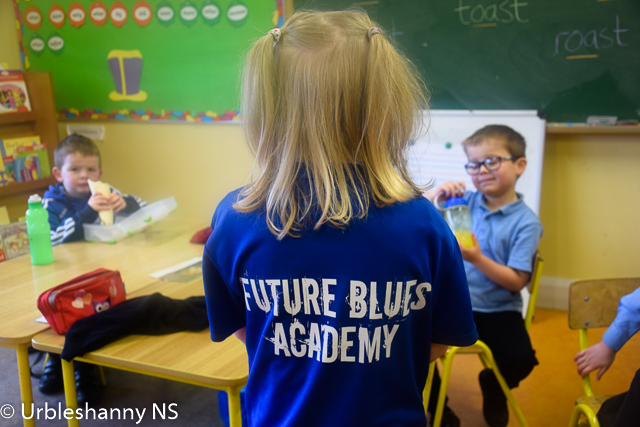 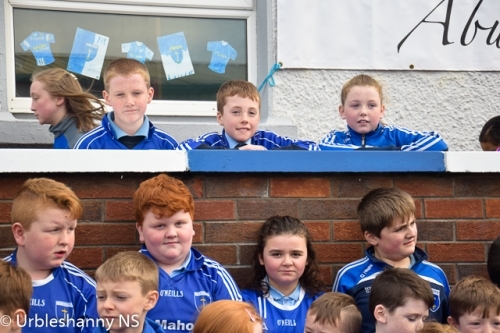 The school has many past pupils on the panel and pupils were encouraged to wear their team's colours with pride and participate in the campaign to "Paint the Parish Bluer" which shows our team how much their community is behind them. 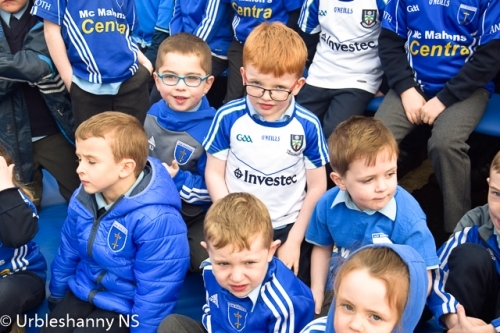 We wish our Scotstown Senior team all the very best in the Ulster Club Final especially former past pupils Frank, Darren, Emmet, Kieran, James, Cian, Rory, Shane, Ross, Seán, Ruairi, Jack, Conor, Brendan, Francis, Jamie, Jason, Matthew and Pádraig. 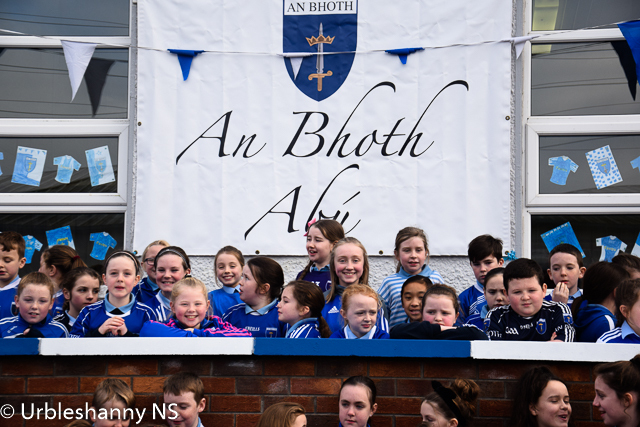 Go n-éirí an t-ádh libh Dé Domhnaigh seo chugainn!